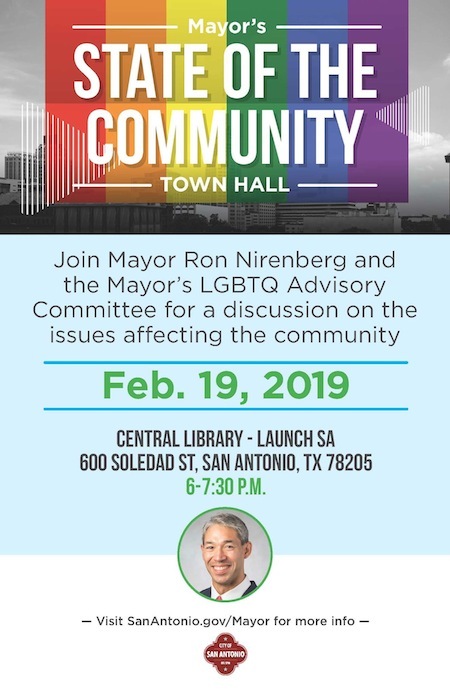 San Antonio Mayor Ron Nirenberg announced today that he will be holding a town hall meeting on February 19 in conjunction with his LGBTQ Advisory Committee. 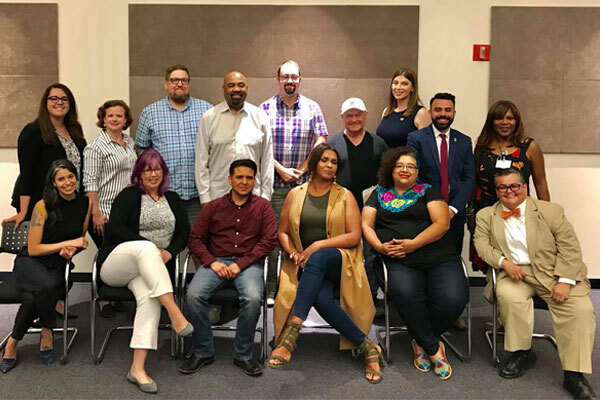 The event, which is dubbed “Mayor Nirenberg’s State of the Community Town Hall,” will mark the first time the Mayor will appear publicly with the 15 members of the Advisory Committee since they were appointed last April. The group began meeting quarterly last May. 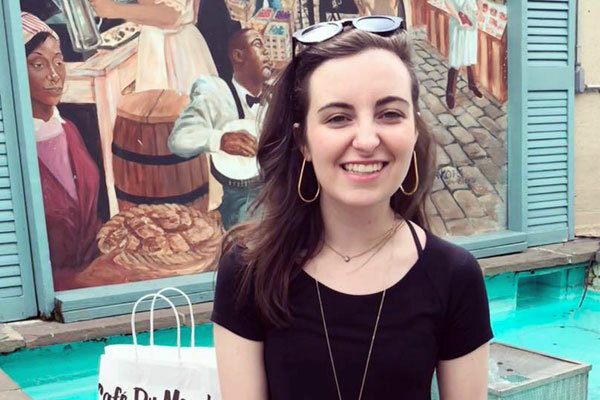 The members of the committee are: Rev. Naomi Brown; Ginger Chun; Alexander Darke; Anel Flores; Daniel Graney; Jamie Hash; Barbie Hurtado; Rev. 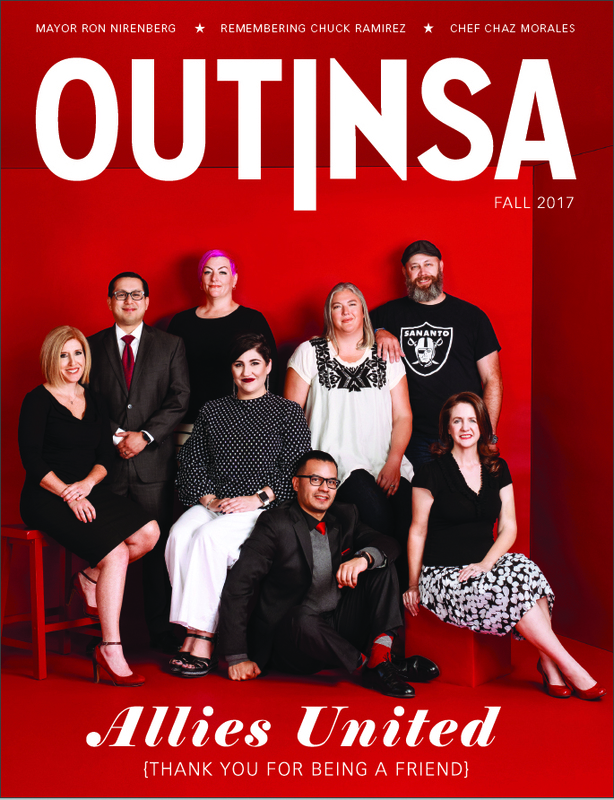 Dr. William H. Knight; Erick LaRue Macias; Chad Reumann; Luka Rios; Maria Salazar; Melissa Shiplett-Jupe; Ashley Smith; and David Solis. Mayor Nirenberg’s State of the Community Town Hall, Feb. 19 at 6 p.m. at the San Antonio Central Library, 600 Soledad St.